CMP magazine is once again looking for the Top 10 commercial brokers in the country, and one brokerage is aiming to make a statement as a force to be reckoned with in the channel. One brokerage that was solidly represented in last year’s list was IC Funding of London, Ontario, boasting three representatives among the top 10 – and they are ready to put their numbers up again this year. Harrington, and the other brokers at IC Funding Greg Wood and Stephen Bryant, came in 8th, 7th and 4th respectively in the top 10 commercial broker list, recording $55,729,213, 77,860,000 and $98,863,000 in funded volume for 2011, for a total of 19 closed deals. And as the person who also won CMA's Broker of the Year, Harrington knows that such an accolade can carry a lot of weight when dealing with clients. “Winning broker of the year – especially as it is recognition from lenders – that helps a lot in the lending world; and clients see this,” Harrington told MortgageBrokerNews.ca. CMP magazine is giving commercial brokers the chance to brand themselves as one of the mortgage industry’s top-performing brokers, as the magazine is one again compiling a list according to individual broker funded volume for 2012 (January to December). All figures must be supplied by you, the broker/agent, by clicking here, and submitted by July 25. Please break down your sales figures by the relevant network or lender. Also include their contact names and telephone numbers. CMP may then contact the above to confirm your figures. Last year’s winner, David William Beckingham of DLC Commercial Capital in Vancouver, B.C., took top spot with $195 million personally funded mortgages on 35 closed deals in 2011. Beckingham’s closest competition was Brennan Wood of Mortgage Alliance Commercial Canada, Toronto, racking up $150 million on 25 commercial mortgages. 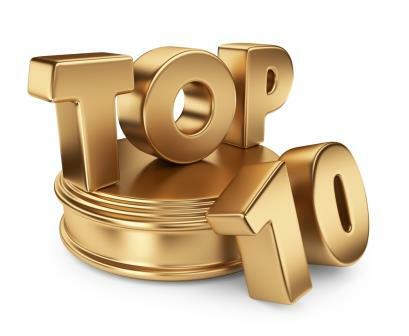 The names of all CMP Top 10 Commercial Brokers will be published in the August issue of CMP magazine, profiling a number of those who made the list.